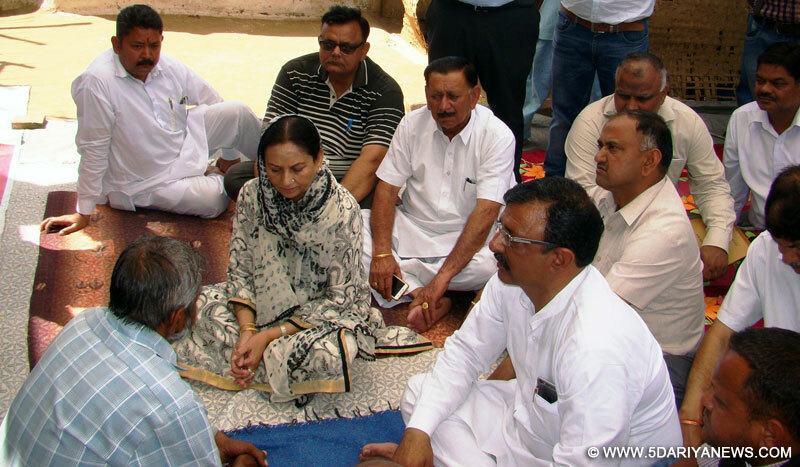 The Education Minister, Punjab, Mrs. Aruna Chaudhary today visited Village Depar, Sandpur and Talwara (City) and shared the grief of the families of 3 students and a driver of a private school bus who had died in a road mishap in Hoshiarpur recently. Deeply condoling the loss of lives, the Minister announced assistance of Rs. 1 Lakh for the families of students and the driver. She also announced a job in a private school and Widow Pension for the wife of the deceased driver.The Minister was first briefed by the district administrative officials about the mishap. She said that the Chief Minister Captain Amarinder Singh is also extremely grieved over the mishap and has sent his condolences. Mrs. Chaudhary further said that it is an irreparable loss for grief stricken families and the Punjab Government stands shoulder to shoulder with them in their hour of grief. She also prayed to the almighty for the speedy recovery of the injured students.It is worth mentioning that a mishap occurred on 7th April morning near Village Singhpur in Hoshiarpur when a bus of Cambridge International School, Dasuya collided with a Mohindra Bolero. As a result, 3 students namely Surbhi and Anirudh (Siblings), Tanish and driver Ranjit Singh died on the spot.On the occasion, MLA Arun Kumar Dogra, SDM Mukerian Amit Mahajan and District Education Officer (Secondary) Dinesh Kumar were also present.